read the paper & let him go. Please consider Jim Gordons parole as I have had friend that served there time and are Model upstanding citizens The Penal system does work for some It works for the people who admit their crimes take full responsibility and show a deep remorse,as seems to be the case with Jim Gordon I also know a lot first hand about schizophrenia,as 2 relatives of mine suffered from this horrible disease they were both Mother and Son treated with Electric shock therapy the Son at 59 could not bear it any longer as his doctors told him that the medicine that was making him sane and not hear voices and allowing him to leave his house was destroying his liver. They told him they would have to wean him off his medicine. The shear thought sent him into a downward spiral ending in suicide. His wife went to work one day, he took an overdose, no note was left and his mom who also suffered from the same debilitating disease passed away upon hearing of her son’s death. You are three panelists that will decide wheather Jim Gordon gets his parole. Please read his file carefully, see what he has done while incarcerated and also look at his medical records from the psychiatrist that are treating him. Everyone is in agreement. With proper medication and parole provision, I believe Jim has served his sentence. Please review this file. You have all the power in your hands and all the answers. Everyone has demons in their past they have succumbed to with horrible consequences. Many people with less talent than James Gordon have been able to conquer their demons & lead productive lives. Parole boards have the task of trying to predict who is worthy, or not, of a chance to prove they are still able to contribute to society. In Jim Gordon’s case, his doctors, both medical & mental health, say he’s ready to re-enter society. Prison officials have stated how he’s been a model prisoner. All the powers that be have come to support Jim Gordon’s parole. While granting anyone guilty of a crime, let alone a violet crime, parole is a gamble, you have to favor the odds that with that much support behind Jim, his parole would be a gamble worth taking. If he never picked up another drum stick, it wouldn’t matter. He’s done the time he was sentenced to. He’s proven himself to all the people that matter that he still can lead a good productive life. Now give him the chance to do it with the rest of us! May your demons be behind you and may you live the rest of your life with peace of mind! Good luck to you Jim Gordon. I know the person who created the petition. She would like for me to thank you for mentioning that the petition could possibly be a part of the “healing process.” You are correct. My friend in the legal field and is fully aware that the petition would not be the sole tool needed to sway the board. It will take the petition, in addition, to him working with professionals within the prison walls on a release plan and, also taking his medication on a daily basis. does anyone out there know of Jim’s current status ? How did you know Jim? Yes, I know someone who knows him quite well. He is in fairly good spirits considering being incarcerated for such a long period of time. Perhaps we could exchange email information. Write to me at [email protected]. Thanks……..
What happened at his parole hearing? was there a recent parole hearing scheduled for Jim? Just heard from Jim’s friend Susan – the person who handles Jim’s Myspace page. She says that there is no news at the moment, but she will post something if she hears anything. The trial occurred 25 years ago and the verdict sent Jim Gordon to a prison versus a hospital, which is where he belonged in order to receive the proper medical treatment. Inmates do not receive proper medical care. Hopefully, he has someone working with him inside the prison walls and he will be paroled in the near future. I really feel if My Gordon didnt suffer from Schizpphrenia he wouldnt have commited such a violent act. we knew so litle then about it. 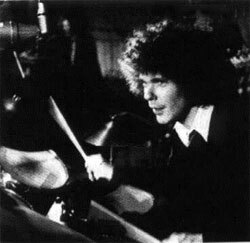 I get alot crap for this but My gordon is and will always be a true drum legend and i often wonder how much more he could have gave to us musically. I wish to sign the petition, but can’t without the ipetition password. Does anyone know it? It would mean a lot to me to be able to sign Jim’s petition. Jim should have another parole hearing scheduled in the spring. The petition password is 1224. I was wondering if anyone can update me as to Jim’s last parole hearing? I have tried to sign the petition, but it appears not to be on-line any more. I would be grateful for any updated info on Jim’s plight. Jim is in good spirits. Susan may place the petition back on-line in the fall due to his next parole hearing is not until next spring. I happen to know that the MD&E tour was rife with drugs, everything from heroin to PCP, angel dust, cocaine, speed, pills..there was basically no drug left untried. It was a long time ago. Jim deserves a chance.